Did you know that thermal pots, celery and sarongs can actually help save you money? 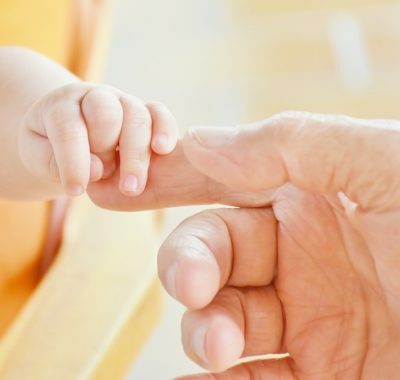 Here are 11 practical daily tips on how to help save on baby, for baby. Having a baby is an expensive affair. Your bill for pre-natal check-ups and delivery at a local hospital can easily exceed the Baby Bonus which you will receive – and we haven’t even begun counting the cost of purchasing baby necessities yet! However, we have done the sums (you can thank us later :) and voila! Here’s how you can save at least $4500* during Baby’s first year. Formula milk can easily rank as the most expensive expenditure for a baby. Breast milk is free and conveniently available. Cost comparison: Based on the recommended dosage of a popular celebrity-endorsed brand of formula milk powder, you can save up to $2,586 a year on milk powder if you give your baby breast milk instead of formula milk for every milk feed during his first year. This figure has not even taken into account the water and electricity bills you will save from not having to wash or sterilise milk bottles! The cost of vaccinations ranks next on the list of expenditures. Most of the recommended vaccines are provided free for Singapore citizens at polyclinics, while the rest are subsidised. If you choose to get your baby vaccinated at a private paediatric clinic instead, you will have to pay for consultation fees in addition to the vaccines. Cost Comparison: The cost of two vaccination packages for babies under six months and those up to 18 months comes up to $1,900 at Raffles Medical Group clinics. You will save $1,502 if you get Baby vaccinated with similar vaccines at the polyclinic. Baby paraphernalia can cost a small fortune. If you do not mind using hand-me-downs, get second-hand items from friends, relatives or buy them online at forums or classifieds such as Gumtree. However, do check each item for safety and cleanliness. Look out for worn out or broken parts in cots, high chairs, car seats or prams, and check that all restraint belts and fastenings are in good working condition. Check too that the car seat model adheres to updated car seat regulations in Singapore. However, you should purchase the following items new. • Milk pumps: replace the parts which come into contact with milk as these may not be easily cleaned or sterilised. • Mattresses: Since mattresses cannot be washed, a second-hand one has a high chance of containing dust mites, vomit, pee, or even poo! • Shoes: Every child’s gait is different, and a used pair of shoes will have parts that are worn out according to the user’s gait. These would affect the tilt of the shoes and affect your baby’s developing sense of balance. If you prefer to buy new items for your baby, you may get them at a cheaper price by joining a “spree”. Stores like Kim Sang Medical Hall offer savings when you buy diapers and milk powder in bulk. Every few months, supermarkets offer discounts on diapers. This is the time to stock up at least two months’ supply to last until the next sale. However, do not buy too many “Newborn” or “Small” sized diapers as babies outgrow these very quickly. Once your baby has reached the “Medium” size, his growth rate would have slowed. It’s safer to buy in bulk at this stage. Cost Comparison: The savings per piece of diaper may only be $0.015. However, this will work out to $22 a year if you use four diapers per day. A mid-priced set of bed linen comprising a bedsheet, pillow case, bolster case and mattress protector can set you back by $60. You will need a minimum of two sets to rotate (wash one and use the other). However, you can purchase your own cloth from neighbourhood shops like Kar Bee at Clementi or Ang Mo Kio and sew your own bed linen. You can also buy a Queen or King sized mattress protector and cut it up to make two cot mattress protectors. Cost Comparison: Depending on the quality of the material (polyester or pure cotton), the price of cloth can range from $2.50 to $8 per yard. If you purchase three metres of cloth at $5 per metre, and a $20 queen-sized mattress protector, you can save $68 by sewing two sets of bed linen and mattress protectors. The traditional way of preparing baby food is to cook porridge in a crockpot for many hours until the ingredients have softened. However, with the invention of the thermal pot, it is now possible to boil the ingredients in the inner pot for a shorter time, and then leave them to soften in the insulated outer pot. By modifying this porridge recipe, you can cook porridge for your baby using ingredients of your choice and omitting additional flavourings like salt and oil. Cost Comparison: Running a small, nine-watt crockpot for six hours a day for four months (when baby is between eight and 12 months old) can add $68 to your electrical bill. It would be cheaper to use the thermal pot as gas is cheaper than electricity, and you only need to bring the contents to a boil, as opposed to simmering them for hours. 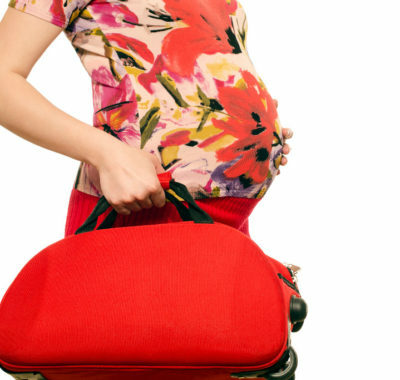 A baby sling can cost between $55 and $100. However, if you learn to tie a traditional “sarong” instead, all you need is a strong, two metre length of cloth. Cost Comparison: A two-metre long “sarong” costs about $6. 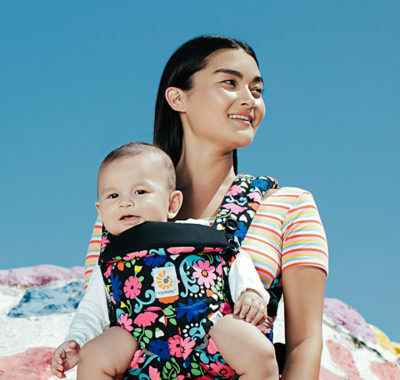 You can save at least $49 by using this instead of a baby sling. Breastfeeding mums use nursing pads to prevent milk leakage from seeping through their clothes. Disposable nursing pads are definitely more reliable in preventing that embarrassing wet patch when you are outdoors. However, when you are at home, washable breast pads are a more economical choice. Cost Comparison: Mid-priced disposable nursing pads cost $0.19 each while washable ones are $2.30 each. Use a dozen washable pads on a rotation basis (wash one set, use another) and you can save $184 in six months (beyond which, you may use less as baby’s milk intake decreases). A dentist once recommended giving Baby a stick of celery to chew on instead of teething rusks. She explained that the tough fibres make it difficult for the baby to break off a small part and choke on it. In addition, it is healthier to get your baby used to the taste of vegetables, rather than the sugar found in some teething biscuits. Cost Comparison: A bunch of celery costs around $1.50 and can last a week. Use the remaining celery to boil soup stock for your baby. In contrast, 12 teething rusks cost $5.20. By giving your baby one stick of celery per day in place of teething rusks, you can save $43 in six months. If you fill your baby’s bath tub with just 10 litres of water a day, you would be pouring away 3,650 litres of water each year! To conserve water, use Baby’s bath water to flush the toilet or soak soiled cloth nappies instead. Cost Comparison: Although re-using bath water will only save you around $7 per year, any bit saved is that little bit gained! *Note: As the cost and usage of individual items in this list may vary widely, an average value was used to estimate the potential savings of each suggestion where possible. All estimates have been rounded to the nearest dollar. Interior Adjustments for An Auspicious Year Ahead!